We are not your average bakery. 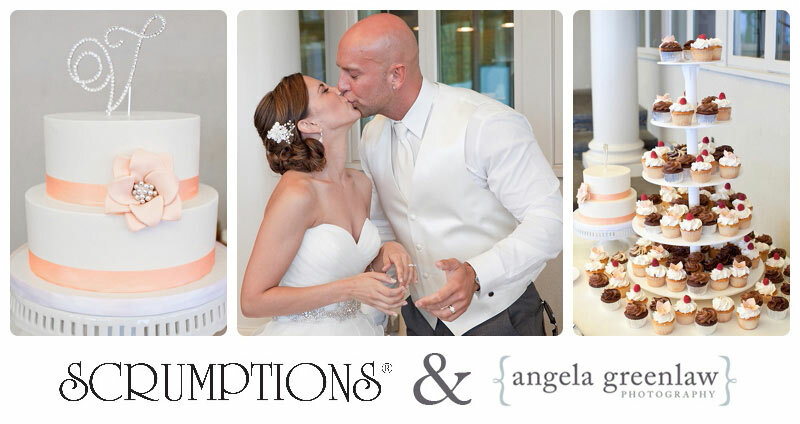 Scrumptions is a gourmet pastry shop specializing in Wedding Cakes, Fine Desserts & Confections. We have been making wedding cakes since 1986 and continue to have the same strong values today as we did back then. We are devoted to baking the best- tasting cakes and confections from scratch; using the finest ingredients around. We have dedicated and extremely skilled cake artists, who are committed to excellence. We take the same amount of pride and dedication to providing an exceptional customer service experience and our attention to detail will make your day unforgettable. The end result is what we are known for…..beautiful, flawless but most important …absolutely delicious cakes with melt in your mouth frostings. So why settle for less on such an important day? Whether you are looking for a wedding cake, cupcakes, miniature pastry, pies/tarts, decadent desserts, cookies or favors, we have got you covered. We love using your inspirations and visions when creating your cakes so please share them with us. Give us a call, email us, or fill out the contact form for us to help you get started.